Today I finished another 5″ x 7″ oil painting on eco-friendly gessobord panel. Haven’t done as much art lately since I’ve been so busy painting our house, but looks like the house painting will slow down soon! 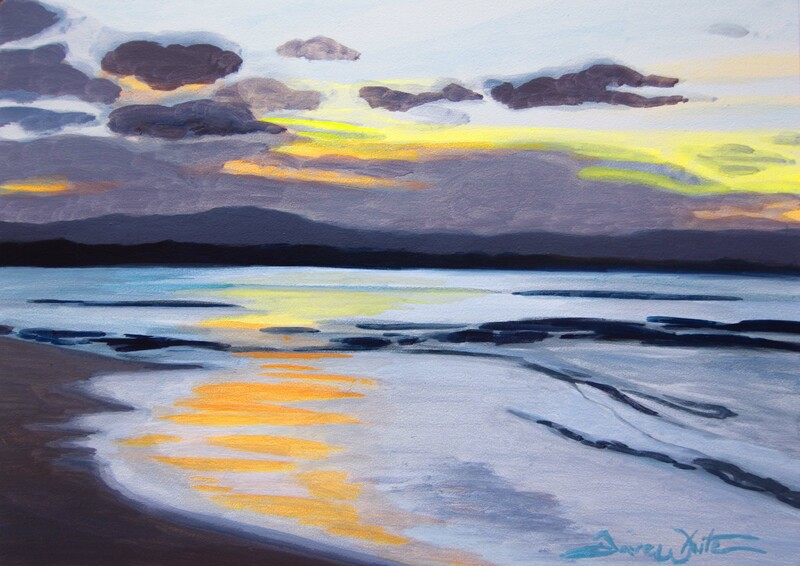 This painting is inspired by the setting sun on the beach in Puerto Viejo, Costa Rica.